Meet Buddy the Sitting Fireman. 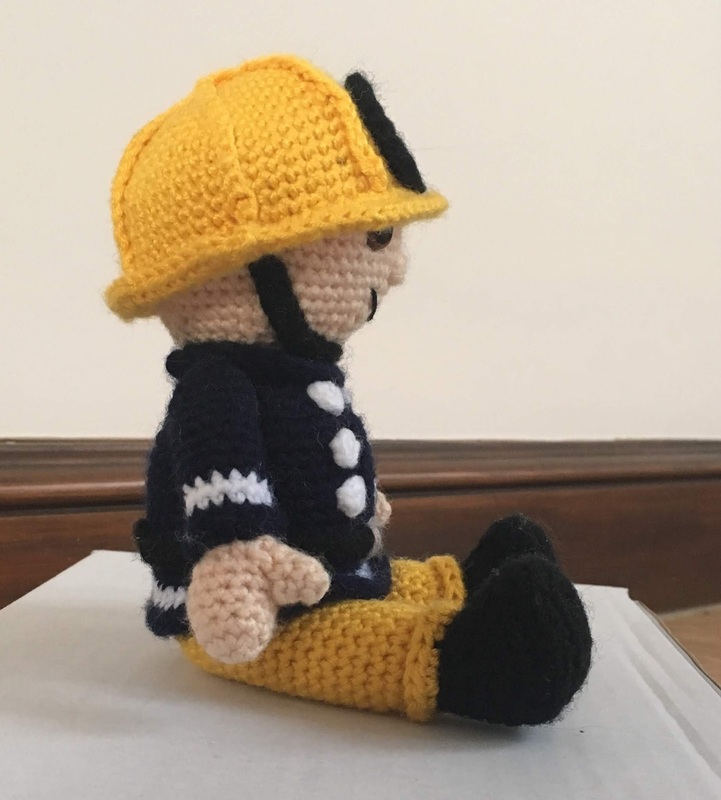 Buddy was designed and made for a local fire station who left their mascot with a child involved in a bus crash. 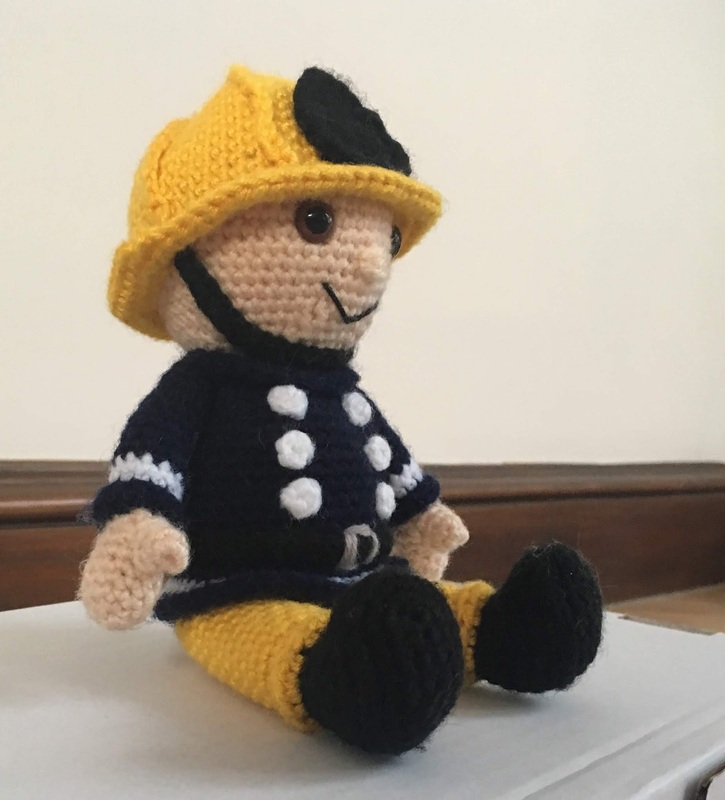 The station asked around for handmade firemen to use in the future as they help to calm children. I saw people commented that they would make one but there was no pattern they could find. So I have created this one. 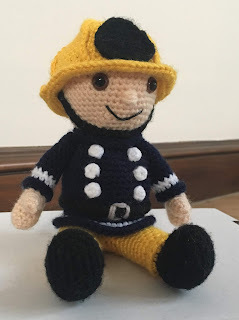 If you are making to donate to a fire station, please let me know the details and I will provide the pattern to you for free. He is called Buddy as when asking for name ideas, someone commented that their brother, a fireman, was called Buddy. So I thought this suited perfectly.